Here at PJ & Company we treat every customer like they’re our only customer. We take pride in what we do to provide you with what you’d expect and then some, as our goal is to meet and exceed your expectations and provide 100% customer satisfaction. Below you’ll find many satisfied customers, and when we deliver superior end results for you, we’d be happy to add your feedback about us to our list of happy customers as well. Contact us today so we can help you make your specific dreams and visions come true. PJ and Company did an excellent job staging the new construction home I listed in Avon, CT. We had terrific success and sold the house within 30 days at 99% of asking price! I highly recommend PJ and Company Staging to realtors looking for results. Patti responded to my call same day and provided timely turnaround staging 3 rooms of the house. Her team has an excellent eye for design and decor and furnished the rooms with today’s Home Buyer in mind. Thank you Patti, Pam and Katie you are a terrific team! In addition to the home staging services, my listing was featured on their website and boosted on their Facebook page to increase my market exposure. Patti and her team did an amazing job staging my home. I owned a small starter home for 16 years that I originally planned to keep as an investment property and rent. It remained vacant and unfurnished for 4 months with no renters. At that time I decided to list it for sale and for rent. After an additional 2 months on the market and facing major financial concerns I looked into staging. The feedback I was receiving from my realtor at that time was that the bedrooms were too small. I found Patti’s company on the internet and reached out. Patti called me back immediately and not only did she provide me with helpful information regarding staging she provided me with the name of a fantastic realtor. Patti knows her stuff and I immediately knew I was in great hands. After staging my home and relisting the property I had over 16 showing in 4 days and ended up with 3 above asking offers. I truly believe that staging this home is what made all the difference. The investment was well worth it and I would highly recommend this to anyone that is trying to sell a home that is vacant. Thank you to PJ & Company for doing such a wonderful job staging my beautiful listing in Farmington! We had multiple showings in the first week with more ahead! Patti Stern is the best in the business!! There are a hundred great ways to describe Patti and her team. Professional, artistic, exceptionally detailed, efficient, talented and more. However, I’d like to share the exceptional results we experienced by retaining PJ and Company for the recent listing of our home. Our near 4,000 square foot home, (a tough sell in rural Harwinton) sold within 36 hours of our listing hitting the MLS. It sold to the very first potential buyer to tour the home and we received an offer at our full asking price without negotiation. To contrast, several years ago we had listed our home and it sat unsold on the market for nearly 2.5 years before we simply became frustrated and removed the listing. I truly believe that the advice in color selections, staging and fresh perspective that we received from Patti and her team were what made all the difference. She is a consummate professional who “tells it like it is” with all the kindness of a good friend. I would, and have recommended PJ and company to anyone looking to gain an advantage when listing a home in a tough real estate market. What they are able to produce at such a reasonable rate is quite remarkable. Patti’s excellence in staging our home resulted in a quick sale above our asking price! We did EXACTLY what she suggested and wisely gave her free run of our home. The result was a home that photographed exceptionally well and showed beautifully. We had more than 25 showings in the first few days of listing and 5 good offers in less than a week. All this despite a challenging location and other listings in the same neighborhood. I have no doubt that the money we invested in staging with Patti was well spent! After watching hours and hours of HGTV , my husband and I were more than apprehensive about undertaking renovations on our home! 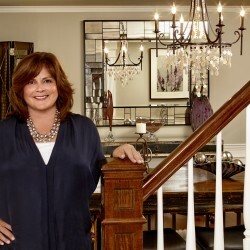 We feel extremely fortunate that we chose Patti of PJ & Company to guide us through all our projects. Patti helped us define our vision and to make choices, she also hired and managed the many contractors and vendors that were involved in our make over. From paint colors to fabric selection, kitchen design to deck and pergola, she saw to it that our wishes were fulfilled. She kept us updated and kept our project on schedule. We never felt pressured to undertake more than we could and her gift for “repurposing” and finding bargains was a great help. Both Patti and her team could be counted on at all times. I used the services of PJ and Company to assist with the staging of my home prior to putting on the market. While I was initially skeptical of the advise provided once I started making their recommended changes I could clearly see that they were right! The paint colors Patti recommended were very attractive and really changed the appearance of the rooms. Her advise on removing large furniture and smaller changes such as door knobs all contributed to make an appealing presentation. The final staging was complete after the PJ & Co team arrived with decorative items that pulled together each room. I have been a realtor for 16 years and in the top 5% of realtors in CT and know how important staging is in today’s market. The seller’s success (and price for their house) depends on how presentable a house is. This is when Patti and the PJ & Company team enter the picture. When I asked Patti to stage my $600,000 listing in December, not only did she meet immediately during the busy holiday season, but she and her team were able to stage the house very quickly to accommodate the seller’s schedule. What a stunning job! When I came back to take pictures, I thought it was a different house! We priced the house $20,000 higher and it sold for that amount in less than 30 days. Both the seller and I were so impressed with PJ & Company’s wonderful service and the final result. I would refer them to anyone thinking about selling their house, regardless of price range, because I am confident they can accommodate every seller and every budget. Working with PJ & Company was the best investment I ever made. From our first consultation to the final install, Patti was personable, professional and had an amazing eye for detail. She took the time to understand our vision for a romantic, modern, master bedroom & bath and produced results that far exceeded all of our expectations. From the color scheme, to the lighting, to the fabrics and accessories, she and her team transformed our boring bedroom into a gorgeous retreat! I cannot wait to begin working with Patti on our next project. Recently, I downsized from a single family home to a condo. At our first meeting she captured my style and the rest is history. It started with wall colors, then window treatments, and on to the selection of furniture and accessories. Her vendors were a pleasure to work with. Lastly, she supervised the hanging of artwork. Patti is professional, knowledgable, and very enjoyable to work with. I was almost sorry to see the project come to an end. Patti and her team transformed a very large space and created warmth and style. I would definitely use them again – they were professional, thorough, and thoughtful in their work. They also were very sensitive to all parties involved, and reasonably priced. I would recommend them to all I know – personally and professionally! We recently had PJ & Company stage 4 rooms in our house in preparation for listing. Patti came to our house for an evaluation and gave recommendations for every room. We decided to follow her sage advice to paint several rooms in the recommended neutral colors and the results were spectacular! The home looks up to date, very warm and inviting. We put our decorating in their very capable hands and were delighted with the results. It was wonderful to have their team handle this task in a professional and courteous manner, as moving can be quite stressful! The results were certainly worth the cost! I have recently worked with PJ & Company on staging of my new listings. In our current market, we need a move in condition home to attract buyers. Patti and her team work to get the property ready for sale, going beyond staging. Her team painted, refinished hardwood floors and transformed my most recent listing to turn it into a marketable property and we accepted an offer within 2 weeks. An investment in staging provides the maximum benefit and results in the highest selling price in the shortest amount of time. All sizes of homes can achieve benefits from staging with PJ & Company – they prepare a home in a short amount of time, working with the Realtor, to get the home SOLD. I can’t begin to say how happy I am with Patti Stern and her team on helping me transform my house into something I never thought it could be! She saw the whole project through from picking out the paint colors to the carpets and hardwood flooring. I couldn’t have done it without her and I would recommend PJ & Company to anyone who is thinking of updating their home! Patti Stern and her team at PJ & Company did a wonderful job at bringing my waterfront listing to life! From the furniture selection to the unique details in each of the rooms staged, the results did a great job at showcasing the custom architecture and providing the vision of the lifestyle this unique property will provide its new owner. They were organized, detailed, and focused in their efforts the day of the staging, collaborating in every room to deliver the best result possible. PJ and Company did an outstanding job of staging our house. The house looks beautiful. In one day they came in and completely improved the appearance of the house. What a fantastic job! We sincerely thank Patti and her team for doing a superb job on staging our home for the purpose of selling it. After learning how the benefits of staging can make the difference in selling our home, we were convinced this was the right decision and well worth the investment. We were absolutely amazed at what you accomplished and the end result was absolutely stunning. Staging has made all the difference in securing a contract on our home so quickly. Having Patti and her crew as one of my listing tools has helped my clients prepare for the sale of their home. She has tranformed some of my lsitings, which have made them sell faster and for closer to asking price. She is able to deliver the ideas that turn into results. One of my clients wished that she had staged her home sooner! As the number one listing and selling agent in Cheshire over the last few years, it is important to have a whole team of people to make the process go smoothly and having PJ & Company Staging and Interior Decorating as a team member continues to be a winning combination. Patti and her team were referred to us by our real estate agent when we went to list our contemporary colonial with beautiful high reservoir views. Patti went through each room with us and made excellent recommendations to vastly improve how our home would be viewed by prospective buyers. She used a combination of our furnishings and hers to update the house while keeping it very bright and inviting. The PJ Team was a pleasure to work with and we certainly recommend them without hesitation. Patti and her creative team transformed a 1980’s Colonial into a stunning modern home with great style, that appealed to the entire marketplace. Her use of color and fabric brought out all the qualities to make the house current and attractive. Her keen eye knew what to keep and what to bring in for furniture and accessories to make each room show its best. The house SOLD in two days with multiple offers. As a Broker, I will always recommend PJ & Company. They did and outstanding design job. I think they’re sterling. I am thrilled with the transformation that Patti and her colleagues accomplished! I couldn’t wait to show our office’s manager and colleagues! They were all blown away! Pictures paint a thousand words, and I am so glad that PJ and Company posted a few before and after shots of my listing on Facebook. Seeing is believing! A huge thanks go out to Jill and Alaina, my two colleagues, who recommended Patti and her team. Patti and her team’s professionalism, creativity, insight, compassion, and promptness in delivery made this journey one I shall never forget. I highly recommend this team of professionals with confidence, pride, and enthusiasm. I look forward to working with them again real soon. Professional and reliable, a true pleasure to work with! Patti and her staff came in and absolutely transformed a rather cavernous space with an open floor plan and 14 foot ceilings. Buyers were having a hard time appreciating the space. Working within a limited budget, the PJ & Company team was able to stage the home and really show off all it had to offer. The house received multiple offers, and is now under contract. I’ve worked with Patti and her team several times with great success on behalf of my real estate clients. She is thoughtful and thorough, creative and efficient. She helps me get my listings sold fast and for top dollar. I am a fan! Patti is absolutely the most talented person I have ever met with regard to staging homes for sale. She helped me pioneer a very successful, award-winning staging program. During the first month, Patti staged a home for me that sold in just three days! That initial stage gave the program traction and from that point, we were off and running with over 94% of the homes staged selling record time. My clients are both thrilled and surprised at how good their home looked after PJ & Company’s staging. We have had four showings over the first few days on the market and feedback is excellent. I know the staging work will help sell this home faster and I will certainly recommend PJ & Company’s services to all my clients. Whether the house is occupied or vacant, PJ & Company will do an outstanding job! I want to thank you for the wonderful job you did with the staging and renovation suggestions made for my client’s home. After the work and staging was complete, I decided to list the property $20K higher than I had originally suggested. After a short 15 days on the market, we received an offer that was immediately accepted with no negotiation! We want to thank you for the absolutely beautiful job you did staging our home. What a make-up artist does for people, you did for our home and made it photogenic! Every room looks spacious, neat, uncluttered and beautiful. You have a wonderful eye for design. I hope our home sells quickly so we can use you to decorate our new home. I want to take the opportunity to tell you how pleased Joan and I are with the outcome of the recent staging of our home. Personally, I never realized that eight rooms could be transformed in such a way that expands their look, is pleasing to the eye, and looks great, all at the same time. From the realtors’ open house we have heard nothing but positive feedback about how pristine our home looks. Thanks to your vision and attention to detail, and your very professional staff, Joan and I are looking forward to a speedy and successful sale. In preparing to put our home on the market, we hired the staging services of PJ and Company. They were prompt, efficient, effective, professional and a pleasure to work with! Our staging “package” was tailored to our needs. We were able to use some of our existing decor items and supplement with other staging items. The result was an impactful new look thanks to their fresh-eyes! Based on our positive experience, I highly recommend PJ and Company. We were very skeptical about staging. We had updated our home several times over the years and we didn’t think it would be difficult to sell but after four months we hadn’t received an offer. After staging, our house was advertised on Friday and three families came to see it Saturday. Sunday three more families came and on Monday we received and accepted an offer. We are so appreciative to you and all you did for us and highly recommend you to anyone who is considering having their house staged. Patti helped me update my living room and dining room in my condo. She knew I was on a tight budget but was open and very creative at working with me to find things that met my taste and fit into my budget. She pushed me out of my comfort zone and it allowed me to make both rooms work incredibly well. I love what she did and hope to use her in the future!